When patients meet with Dr. Michael Bixby at his Red Bank practice, they know that they will be able to learn about advanced treatment options and how they can benefit them. This goes for various cosmetic, general, and restorative dentistry procedures aimed at enhancing health and wellness. One of the many different kinds of advanced treatments is Invisalign, a clear alternative to traditional metal braces. Let's see how Invisalign can be used to treat gaps between your teeth. Invisalign is an advanced form of state-of-the-art orthodontic care. Rather than using traditional metal brackets and wires as in braces, Invisalign relies on the use of clear plastic aligner trays. These are designed by computer based on an impression of a person's teeth. The patient wears an Invisalign aligner for two weeks and at all times save for when eating, drinking, or cleaning their teeth. 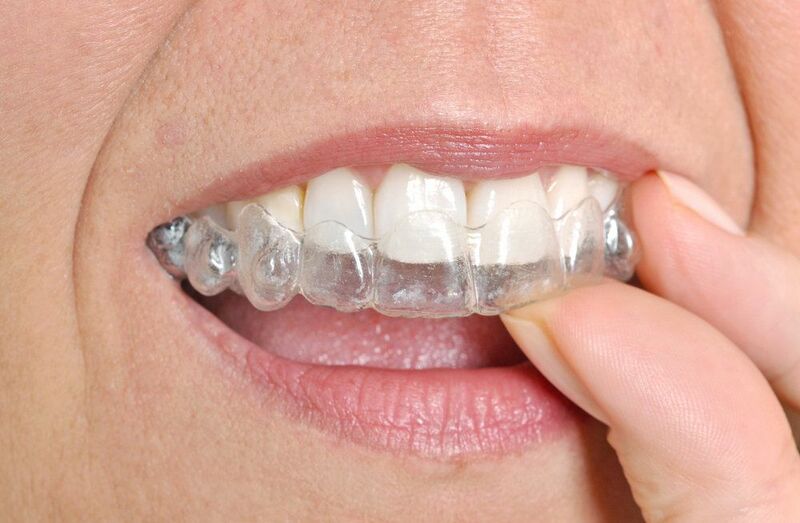 After that time is up, a new Invisalign aligner is worn, assisting in the gradual repositioning of the teeth. Invisalign allows patients to experience the advantages of orthodontic treatments without having to deal with the metal brackets and wires or changes in their diet. In fact, patients can eat their favorite foods while they are undergoing Invisalign treatment. In addition, people won't be able to tell that an Invisalign aligner is in place even when they are up close since the tray is so clear and non-invasive. Is Invisalign effective at treating gaps between teeth? Many kinds of tooth gaps can be treated thanks to Invisalign. Dentists and orthodontists routinely achieve excellent results addressing various forms of malocclusion, though it can depend on the nature of the gap that is being treated as well as the patient's current and and dental health situation. While Invisalign is very effective at treating certain kinds of tooth gaps, sometimes braces are more ideal. This is particularly true for major spacing issues along the upper or lower dental ridges. If you have an impacted canine, for example, it might be more ideal to opt for traditional braces depending on the age of the patient. Invisalign may be used if the dentist/orthodontist recommends removing the impacted canine and opening up space in the tooth gap for a dental implant. These matters will need to be discussed more closely during your visit to the office. During your initial consultation with your dentist, you will be able to learn about all types of treatment options that may be best for you and your needs. It's during this initial visit that you will be able to get all the information necessary to make an informed decision about your dental care treatment options. To learn more about Invisalign and whether or not it is the right treatment option for you and your needs, it's important that you contact our cosmetic and restorative dentistry center today. The entire team at Michael Bixby Center for Advanced Dentistry looks forward to your visit and helping you achieve a straight and healthy smile.